March 26, 2018 may go down in history as one of the most significant days in world finance. At 9am local time, the first trades in crude oil futures denominated in yuan – China’s currency – appeared on the screens of the Shanghai International Energy Exchange. Overall, 15.4 million barrels of crude oil changed hands through the new contract. Oil trading powerhouses Glencore and Trafigura participated in the trade, lending their gravitas to the nascent market. The petro-yuan was born. The petro-yuan is the youngest sibling of the petrodollar. During the oil crisis of the early 1970s, Middle Eastern oil producers made an agreement with the US to use their proceeds from oil sales to purchase US Treasury bonds. This process, known as ‘petrodollar recycling’, has enabled a series of US administrations to finance growing deficits, as the dollar’s role in the energy market consolidated its place as a global reserve currency. If oil is the product that makes the wheels of the global economy turn, the dollar is the hard currency that keeps the tills ringing. Not coincidentally, the two most significant oil benchmarks – Brent Crude and WTI – are priced in US dollars, which unequivocally remains the world’s dominant reserve currency. The end of the dollar’s dominance has been announced many times before. Other countries have permitted issuance of oil futures in their own currencies, but with little success so far. India introduced crude oil futures denominated in rupees in 2006; although still used locally, the petro-rupee hasn’t come close to undermining the dollar. Russia, a major oil producer, tried something similar in 2016 with disappointing results. A decrease in demand for the petrodollar would have dire consequences for the US economy, resulting in higher inflation and a difficulty to finance deficit spending. But not everyone is convinced that the petro-yuan poses a major threat to the dollar. “It’s a fantasy. There is a huge coordination issue to get everyone out of the dollar simultaneously,” said Pirrong. The oil industry is notoriously risk-averse and wary of innovation; barring a major crisis in the US economy, it will take decades before traders abandon a practice that has been tried and tested. The dollar is historically considered a safe haven currency, whereas the yuan is still not completely convertible into other currencies and represents a tiny fraction of foreign exchange reserves. A first step for the yuan would be to establish its place in the Asia-Pacific region. “The renminbi will not overtake the dollar tomorrow, but it could gain reserve currency status in Asia-Pacific very quickly. The oil contract is a large cog in the big strategic plan to pivot away from the dollar to renminbi,” said Hayden Briscoe, Head of Asia-Pacific Fixed Income at UBS Asset Management, Hong Kong. From a macroeconomic perspective, paying oil producers in its own currency is a rational policy for a country that became the world’s top oil importer in 2017. China’s crude oil imports nearly doubled from 4.8 million barrels per day (BPD) in 2010 to 8.4 million BPD in 2017, whereas US imports dropped from 9.2 million BPD to 7.9 million BPD over the same period due to the domestic shale oil boom. BP expects Chinese demand to rise by around 30 percent by 2040. The petro-yuan may also help China eliminate the so-called ‘Asian oil premium’. Currently, refiners in Asia pay up to $6 more per barrel than their counterparts in the developed world when importing oil from the Middle East, as WTI and Brent are based on oil grades widely used in the US and Europe. China’s new contract is based on a basket of Middle Eastern and domestic oil grades that are in demand in China and Asia and include more than 40 percent of global oil production. “It makes sense to establish a regional oil benchmark that reflects Chinese consumption and more broadly Asian demand patterns, instead of being dependent on the price discovery in the North Sea of Brent Crude or at Cushing, Oklahoma, the delivery hub for WTI crude oil futures,” said Ole Hansen, Head of Commodity Strategy at Saxo Bank. The petro-yuan can also be seen as the latest move in a broader geopolitical tussle between the US and China, reminiscent of the 19th-century struggle between the UK and Russia over the control of routes to India that historians named ‘the Great Game’. For example, it fits into China’s One Belt, One Road initiative to develop ties across Central Asia. With gas and oil imports from Turkmenistan, Uzbekistan and Kazakhstan on the rise, China can use the petro-yuan to tie these countries to its macroeconomic cycle. “When the influence of the petro-yuan grows, Central Asian republics will take a more balanced stance towards China, even though their concerns over its economic dominance will not disappear easily,” said Paik. 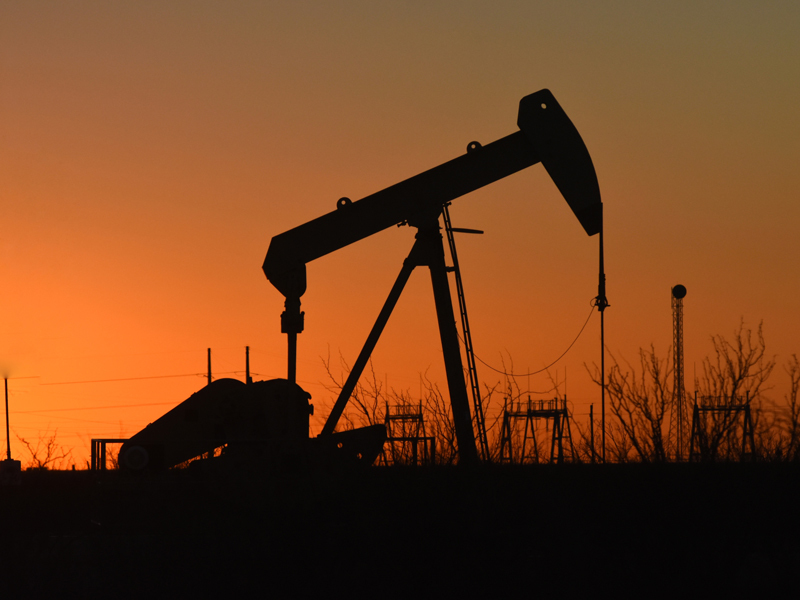 The new contract may also bring China closer to several US adversaries – including Russia, Iran and Venezuela – that are big oil producers and would be happy to ditch the dollar. Russia has already moved in that direction, settling a part of its oil exports in yuan. “They had difficulty in settlements because they were stuck in the dollar world, but now they have an alternative. By adopting the petro-yuan, these countries are more aligned with the Chinese macroeconomic circle,” said Briscoe. In the Middle East, the petro-yuan suits Saudi Arabia’s plans to diversify its investment portfolio overseas, while China seeks to attract Middle Eastern investors to its capital market and participate in Saudi Aramco’s forthcoming IPO. A plan to issue loans denominated in yuan was part of the agenda in the China-Saudi Economic Forum last year. “In the Middle East [the petro-yuan] has been welcomed as a positive development, as it provides additional liquidity for long-term loans, market access to the major Middle East oil exporters, and also a benchmark currency for downstream Chinese petrochemical projects, reducing exchange risk volatility,” said Dr Mohamed Ramady, an expert on energy finance in the Middle East. As for the Asia-Pacific region, China’s own backyard, the rise of an Asian oil benchmark could mark the tipping point in an ongoing process of economic integration, said Briscoe: “Asia has re-regionalised. It has moved up the value chain very quickly and has become less reliant on the rest of the world. Many companies don’t have to look outside Asia for finance.” The Chinese central bank is already the largest liquidity provider in the region, easily overtaking international institutions such as the IMF. China is also the largest trading partner of most South-East Asian countries, including Vietnam and Malaysia. The first time China issued a domestic oil futures contract in 1993, the experiment came to an abrupt end due to extreme price fluctuation. Nearly two decades passed before Chinese authorities hesitantly started toying with the idea again in 2012. Eventually the China Securities Regulatory Commission approved the launch of the petro-yuan in 2014. A new contract came close to entering the market three years ago, but a crash in the Chinese stock market in the summer of 2015 temporarily stalled the project. Cautious to avoid past mistakes, Beijing has sought to keep speculators away by setting oil storage costs for the new contract considerably higher than international ones. However, the measure may put off some legitimate investors too, says Professor Jian Yang, Founding Director at the Center for China Financial Research at University of Colorado Denver Business School: “As high storage cost could prevent the necessary arbitrage between cash and futures markets, it will prevent a certain type of foreign investor from conducting cash-and-carry or reverse cash-and-carry arbitrage.” High storage costs may also have the adverse effect of increasing price volatility, making the contract vulnerable to “corners and squeezes” that will “undermine the utility of the contract as a hedging mechanism”, according to Professor Craig Pirrong, known for his Streetwise Professor blog. Another concern for foreign investors is their vulnerability to any intervention by the Chinese Government that may affect capital flows related to oil futures, including temporary terminations of trade. That being said, in April the People’s Bank of China announced measures aiming to attract more foreign investment in the financial system. However, the country still utilises capital controls to curb capital flights. Perhaps the biggest challenge for the petro-yuan is what Yang calls “bad liquidity”. Although Chinese mom-and-pop investors can provide sufficient capital volumes to provide liquidity, they typically hold shorter positions than other traders; in extreme market conditions, this can cause a liquidity crisis. “Such ‘bad liquidity’ does not help improve the price discovery and hedging functions of the market, which determines the long-term success of a futures market,” said Yang. In contrast to the US, China currently lacks a large number of producers or traders that could use the new contract as a hedging tool. “The well-known oligopoly problem of the oil spot market in China, dominated by three state-owned integrated oil companies, may lead to fewer independent oil and refinery firms, and as a result, fewer domestic hedgers,” said Yang. The rise of the petro-yuan marks the culmination of China’s attempt to ride on the wave of economic globalisation. For the first time since the Chinese emperor capitulated to the demands of European colonial powers in the 19th century, the country is opening up its commodity markets to foreign traders.